Hey there! 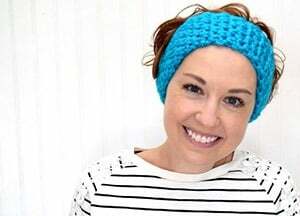 Welcome to another round up of fun crafts! Please remember to pin the individual projects from their original site! As usual, Erlend has something to offer (sorry, I just adore his blog & ideas so much! 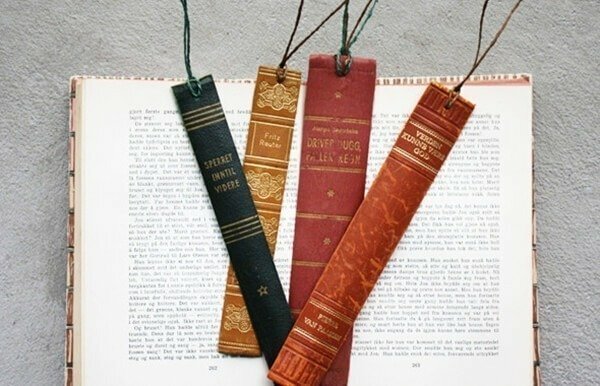 ), like these bookmarks. 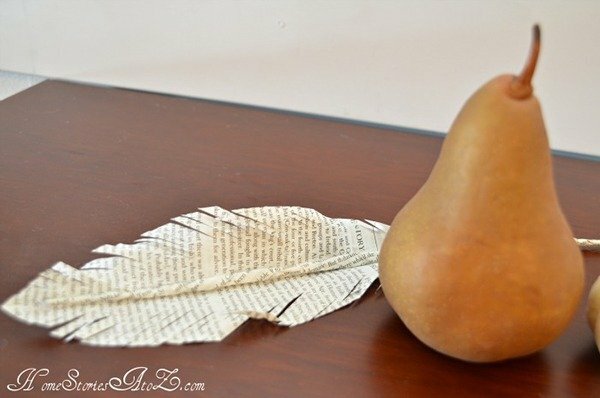 Although I would need to search loooong time before I had a book that I could cut apart without shedding a tear! 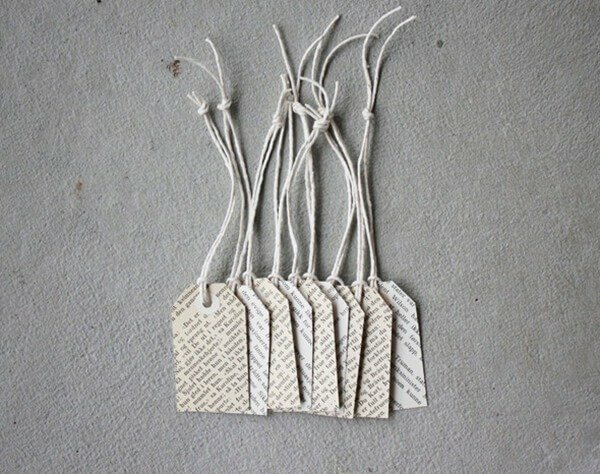 But if I had cut the book already I wouldn’t be afraid to use the pages for some tags! 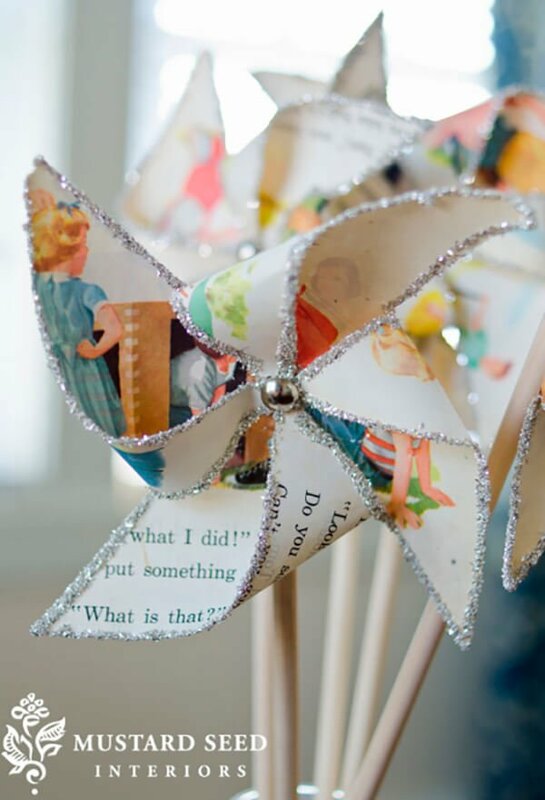 Ot how about a pinwheel? With glitter, of course. Because everything’s better with glitter! 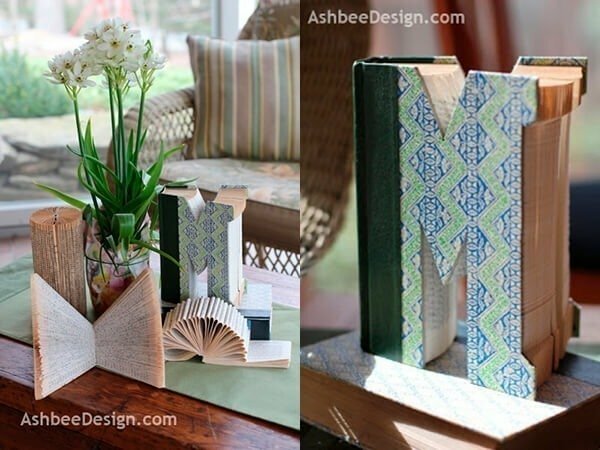 Oh, and here’s my problem with destroying books again… But aren’t these book monograms awesome?! 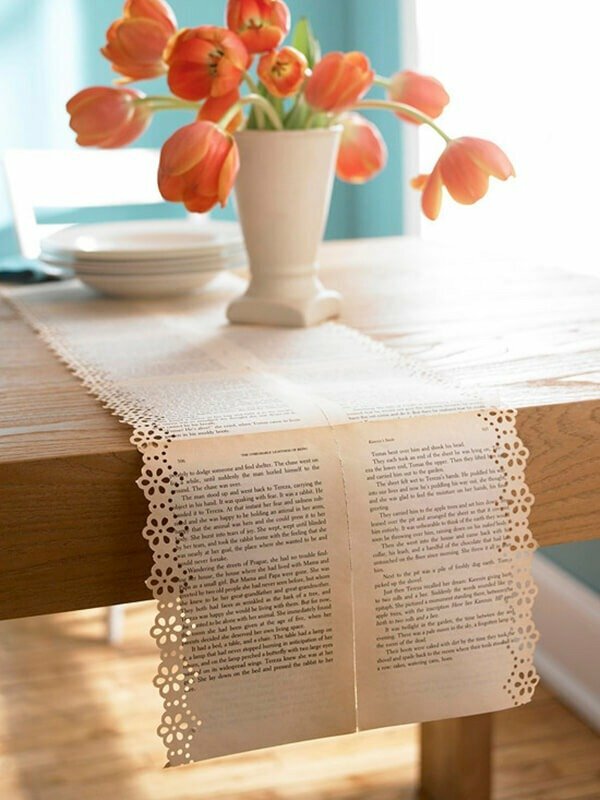 I cant’ recall how often I pinned this book page lace runner… swoon! I know, I know… we are all awaiting spring and not autumn. 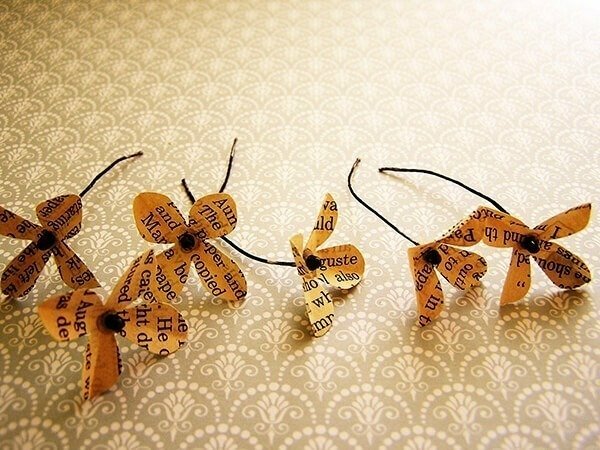 But I can’t change that we have the topic of book page crafts today (okay, I could… but I don’t want to!). 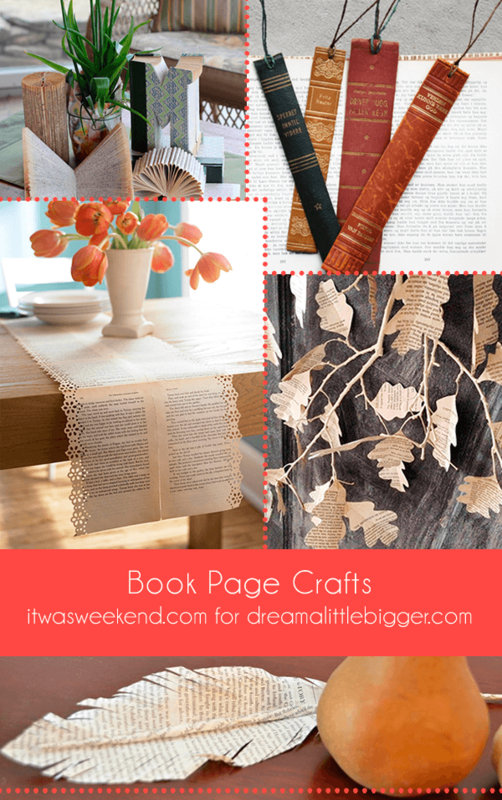 So please check out these (maybe) autumnally book page leaves! 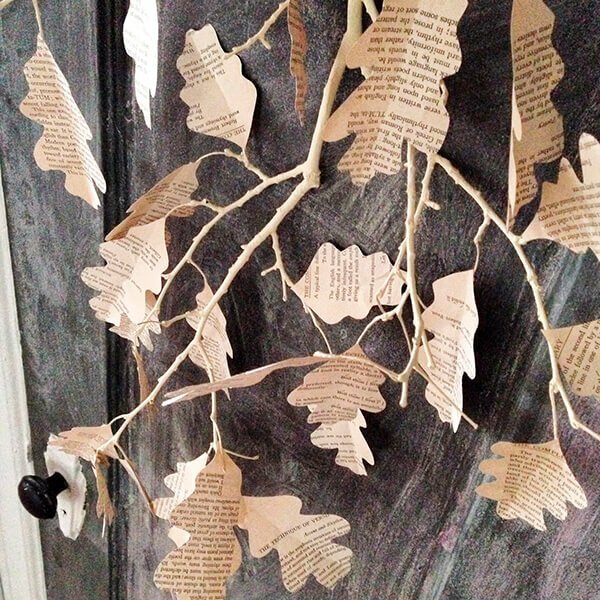 Another thing that looks great if cutted from book pages? Feathers! 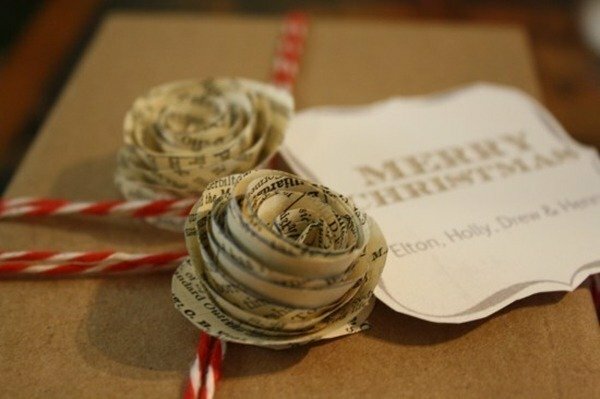 And if you’re one of the few awesome people who plan ahead and are already looking for a way to wrap your presents: Look no further! 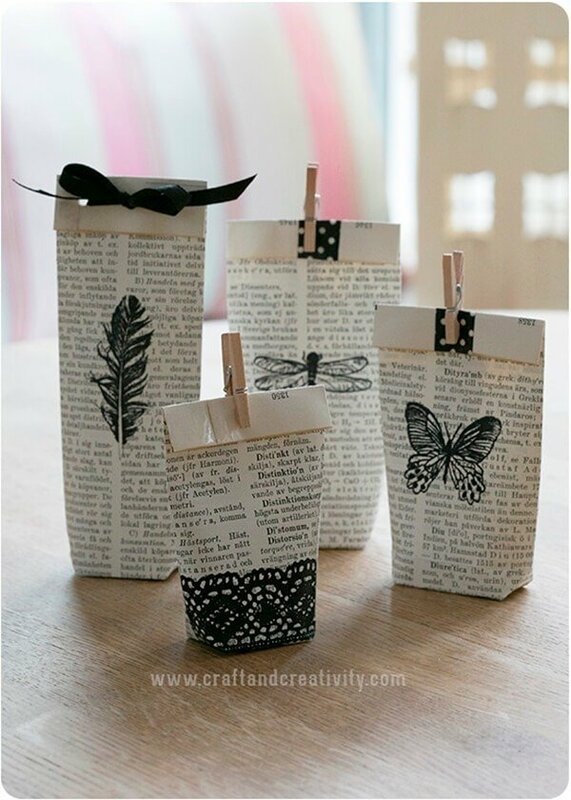 Make gift bags from your old books! 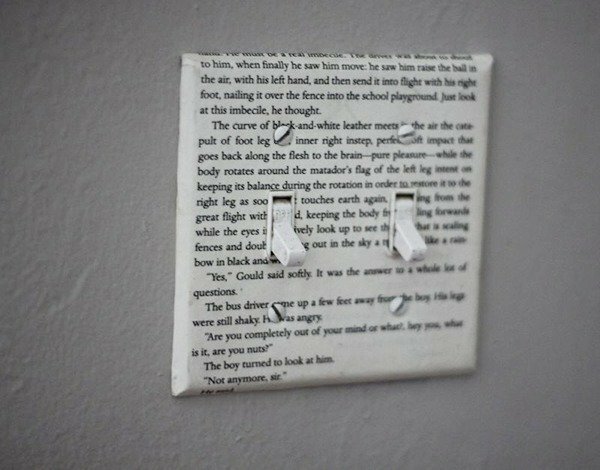 I understand about not wanting to destroy books, but I have some that have some mold on them and I think I can make some of those initial books with them. I had to just toss them and am so sorry to lose them, but this looks like a good solution. Oh, that’s a wonderful idea to save these books that had to be thrown away otherwise! Oh yes! I’m with you!